Alex is a Solicitor within our Corporate and Commercial Team, dealing with a broad range of matters including acquisitions and disposals, intellectual property issues and drafting commercial agreements. 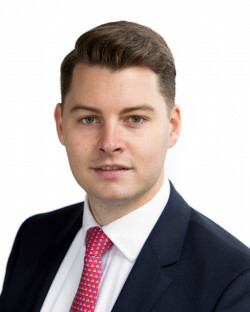 Alex graduated from the University of Sheffield in 2009 before going on to complete his Graduate Diploma in Law (GDL) at the UEA and Legal Practice Course at BBP in Cambridge, passing both with distinctions. During his studies at the UEA, Alex was awarded the university’s Law Society prize for his performance on the GDL. Alex trained with Leathes Prior, qualifying as a Solicitor in September 2016. Prior to joining Leathes Prior, Alex worked for Norfolk Community Law Services in their Employment Team, and was a tutor in law. He was also a musician and songwriter, having toured worldwide and written songs for use on various commercial adverts. Alex advises and assists with corporate matters, including acquisitions and disposals, shareholders’ agreements, and corporate re-structuring together with commercial work such as intellectual property protection, franchising, terms and conditions and other commercial agreements. Outside of work, Alex has a passion for music, writing and is a keen sportsman; a lifelong Arsenal fan and a regular watcher of F1. Alex Saunders, supported by the rest of the Corporate Team, have and continue to be on hand (and quite literally holding our hand!) through countless pieces of project work over the years. Alex’s advice and support has ranged from locking key staff in to the business (through the implementation of EMI Share Scheme) to ensuring we are compliant with all DPA matters (health checking process and documentation for impending GDPR legislation), and everything and anything you can think of in-between these two matters. The project work is just part of the support we receive – Alex and the team are on hand day-in day-out 24/7 to assist with any question we have on so many matters. How would I sum things up? You send Alex an email – you get a reply. You phone Alex – he picks the phone up. You ask him a question – you get the answer PLUS thought provoking advice and pointers on ‘other ways’. Alex and the team are partners to Rent4sure – they are part of our business – and we wouldn’t be without them. I wish to confirm our thanks to Leathes Prior and in particular, Alex Saunders for the guidance and support provided, in the quest for ourselves and our member Clubs to understand and begin the process of compliance in respect to GDPR 2018. Alex presented and delivered in the most professional and knowledgeable way a very skilled pathway throughout the process, a hand-holding exercise of the first order. I would have no hesitation whatsoever in recommending your services to other parties. Just a quick email to say how pleased we have been with the quality of service that Alex Saunders and Jack Horwitz have provided in selling our business. They have at all times been efficient, professional and courteous, providing us with a top class service. We work predominantly with Alex Saunders who has always provided us with a fantastic service.